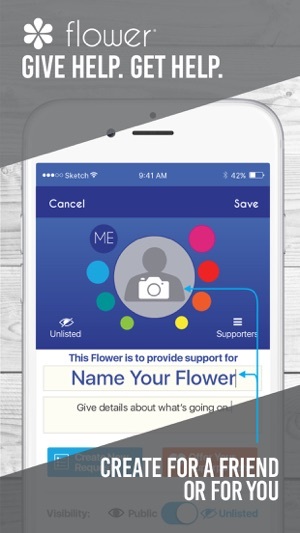 Have you ever faced the question “How can I help?” Flower makes it easier to both ask and answer that question. 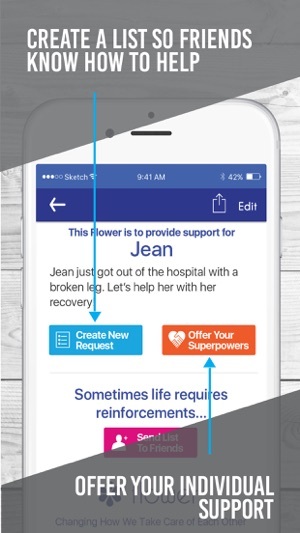 With Flower’s tools you can reach out to friends and family members when you need a little extra support and let them know exactly what they can do. Or if you know someone special who needs reinforcements, you can pull together a group and offer everything from advocacy to pet-sitting to a walk in the park. Join us in changing the way we take care of each other. * Begin by letting your friends and family know what they can do to help with “I Could Use” - a list of things that could make your day a bit brighter, from dinner at the end of a hard day to company at your next doctor appointment. * Send good wishes, messages of support, make plans, or just let someone know you care. * Identify your own special talents and superpowers and use “I Can Offer” to extend a helping hand. 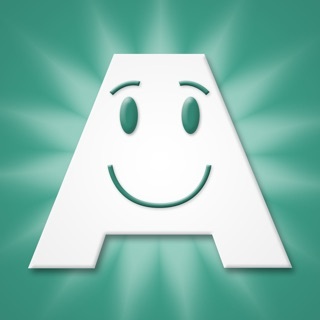 * Invite a group of friends to add their support by contributing to a group message for someone who matters. Requirements: You need iOS 9 or later to be able to use Flower on your iPhone. I had a friend that had terminal cancer and Flower helped take a lot off of her plate. 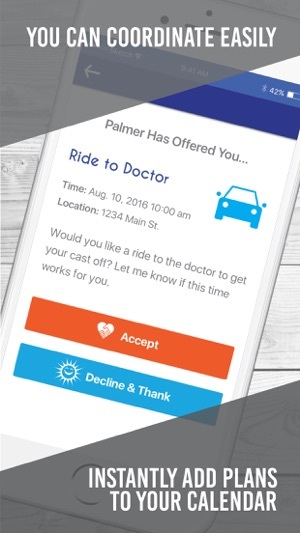 She was having to call people to ask for things she couldn't do for herself like rides to the doctor. 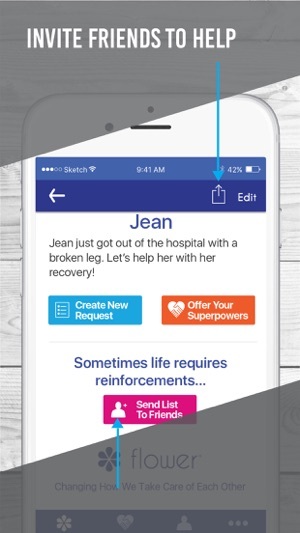 With Flower she could put a need on the app and her friends would know she needed help. It just made her life easier. It also help us know when she needed help. It was a godsend to all of us. Very interesting way to organize friends and family to help someone. Kinda like a registry. I've really enjoyed using Flower to help out the ones I love.